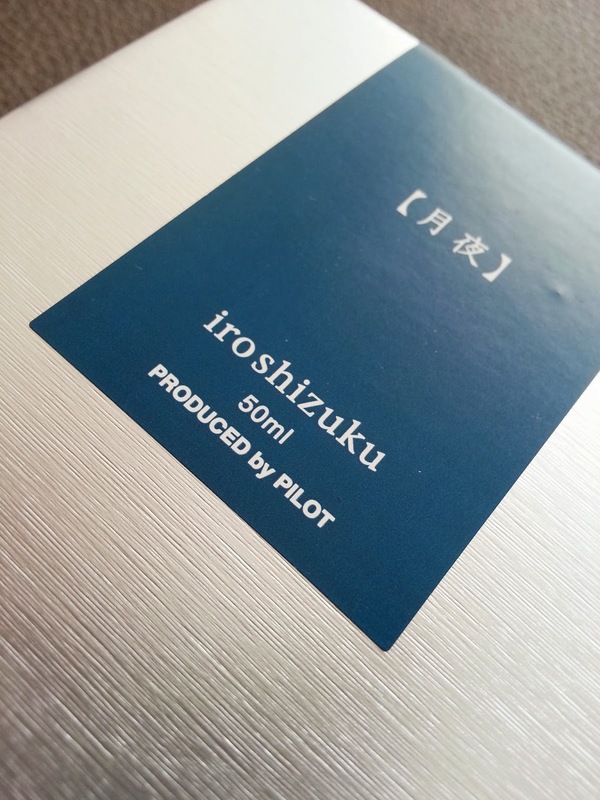 Pilot's Iroshizuko inks have something mythical, isn't it? With a solid reputation as both the best and the most ridiculously expensive ink you can get, there was no other way than to get a bottle myself! Luckily, I was able to track down a shop that sells this piece of inky art, because in a silly country like Belgium, nothing, I repeat NOTHING is as easy to get as in the US of A (which can be horribly frustrating at times!). Because of it's royal price tag, I didn't expect anything less than perfection. Everything about this ink is beautiful, even the cardboard box it comes in is great! It's a nice silver box with a very subtle texture to it. Even when it comes to small, unimportant details, like the cardboard box probably no one cares about, Pilot did a great job making it better than the competition. When you open the box (which proved to be rather difficult at first) the beautiful glass bottle appears. Rumours are true, this bottle IS fancy! Once again, Pilot thought about even the smallest detail, like the little notch on the bottom of the bottle, which makes it easier to use every single drop of ink. But the beauty doesn't end there! 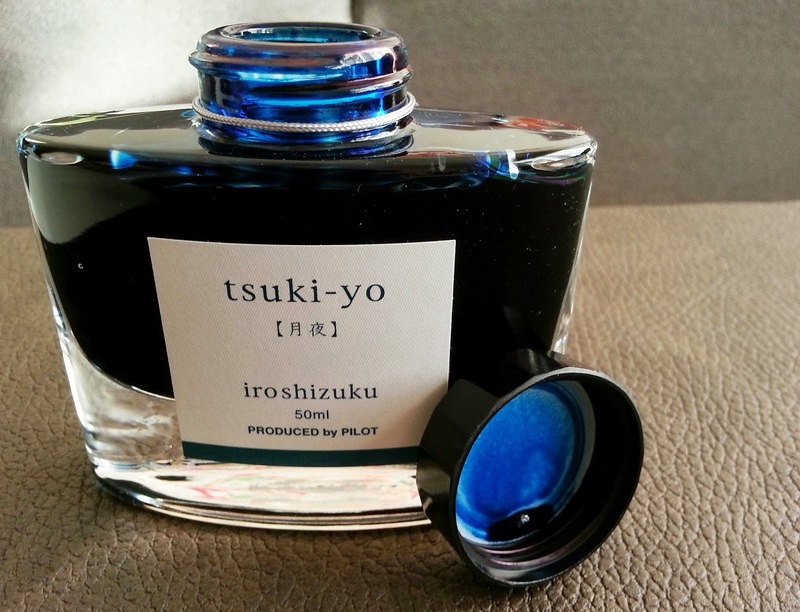 Tsuki-Yo is a beautiful bright blue-black ink with top-notch properties! It is a very smooth ink, even better than Pelikan's Edelstein ink. It has a lovely, bright, almost purple-ish, colour when it is still wet, but when it dries, it slowly evolves to a darker blue-black with a hint of Turquoise. Another lovely property of this ink, is the heavy shading, which makes it even prettier! Okay, dry times aren't super fast, and it isn't quite waterproof, but still, overall, this is probably the best ink I own! So yes, it is pricey, at 35 USDollars (even more in Europe: on average 38 Euros!) for a 50ml bottle, it's probably the most expensive ink you can get, but I can assure you that it is totally worth it! Pilot ink is the best ink i also like pilot ink very much !! Thanks for the tip! I'll definitely check it out!